Yoga instructor Erin Shimp does a backbend between columns. “The Lifestylist” Kate Robitello gets a chance to interview Shimp in this week’s column. What we are actually telling ourselves is that we don’t feel worthy of making the time to create a whole-foods meal or perhaps squeeze in an hour-long yoga session during lunch hour. Fortunately, yoga is one of those things that we can always return to, no matter how long it has been or what point we are at in our lives—it will always be there. Erin Shimp, one of my all-time favorite yoga instructors, was kind enough to share her yoga expertise with me this week. Mountain Times: Yoga seems like one of those things everyone says they need to do more, but then usually put on the back burner. How can one get “back into the groove,” if you will? Erin Shimp: I think the best way to get back into the groove is to just begin! Begin to notice how your body feels and make it a priority to either practice yoga on your own or take a yoga class once a week. The costs in the area are very reasonable ($7-$15) and are a small investment for great benefits. MT: Why did you become a yoga instructor? 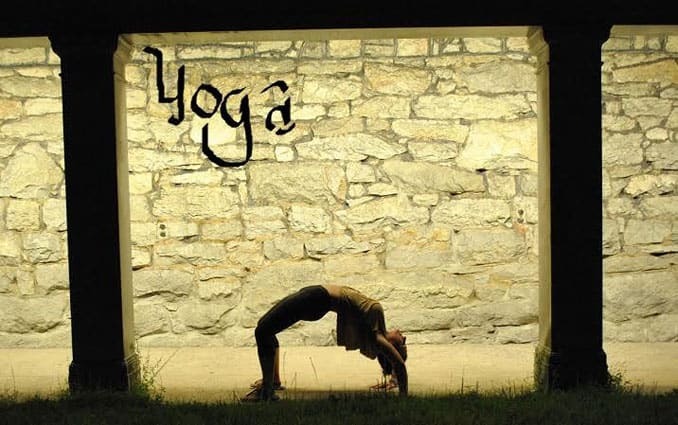 MT: There are so many different variations and styles of yoga. Are you partial to one type? ES: I love a good vinyasa flow. It’s so juicy you can find muscles you never knew you had. However, I know the benefits of proper alignment, and a softer, more subtle yoga class can offer great benefits as well. I tend to gravitate towards the iyengar, vinyasa flow and prana mantra (breathing). Through a blend of these and other various yoga techniques each class develops differently and each technique provides students a series of yoga tools for their toolbox. MT: Can you explain the benefits of regular yoga practice—physical and mental? ES: The benefits of a regular yoga practice are hard to measure because there are so many! Physically it can help someone become more fit and toned. Likewise, one begins working body parts and organs otherwise not addressed in a standard fitness routine. As for the mental benefits, the meditation component can help one find calmness and clarity, allowing you to be mentally open and honest with yourself, finding limits and breaking through others. Erin Shimp teaches at several locations. Classes and many other yoga offerings can be found at echoedyoga.yolasite.com.